There’s no use in denying that health insurance is large component, if not necessity within the of the U.S health care system. It doesn’t matter if it is a simple cough or something much more serious, such as cancer, You don’t want to feel sicker when you receive your hospital bill. The cost of medical services has continued to climb year over year , and can drive 1.7 million people into personal bankruptcy every year, due to their inability to pay their medical bill. Today, healthcare debt is the number 1 reason for filing bankruptcy in the Us. Health insurance does not mean that your medical expenses will be any cheaper in the event of a serious medical treatment or accident, but it will allow you to be protected from something that is devastatingly expensive. With health insurance your family will be able to gain coverage for medical treatment at cost that does not cause you to go broke. With the addition of the affordable Care Act. Those without insurance will face a 1% penalty of there yearly household income ore $95 per household member, which ever one will be higher. You can look into your employer plan, to see if you have a health plan, about 86% of full-time employees in the US have access to health insurance through their workplace. If you are in this category your best is choice, is probably your lowest cost, best coverage option is going to be your employers plan. The average employees health care cost is $over $4600 annually, with the employer plying about 11,786 of the remaining cost. If you do not have an insurance option available through you work, like a large set of the U.S population the government will be helping with the healthcare bill. Wither through Medicare for older Americans or Medicaid plans for those with low incomes. If you’re over 65, it’s likely to receive a Medicare. Medicare is a complex system. Simply, it is reimbursements for taxes paid while working, if your receive Medicare Part A, it will cover hospital related expenses without premium. Medical Part B, covers doctors visits, medical supplies, lab test and outpatient care and medical supplies, The monthly premium is 104.90 with those with an income of $85,000 or less and have a $147 deductible. For Individuals with a very low income, medicaid offers health insurance for a very low cost or no cost at all to the recipient. Each state managers there own medicaid program a little differently from each other. There are general federal guidelines that a family income must be 133% below the federal poverty line to be eligible, Since the affordable healthcare act many states expended coverage for more families, If you meet the guidelines you may qualify for medical, by applying at your state’s social service department or through the states insurance exchange program. You can shop through your state’s exchange. This is a key component of The ACA, which create state managed insurance exchanges to help people to buy and enroll into insurance programs. There are 17 states taht run there own insurance programs and the other states are defaulted into the government’s exchange that can be accessed through Healthcare.gov or have a state and federally managed insurance program, through the federal marketplace. The easiest way to compare insurance polices are to look for ones that fit your needs. Your income is 400% less than the poverty level, you can get tax credits to offset the cost. If you income ifs 138% less than the poverty level you may qualify for medicaid with states with expanded coverage. IF you do not qualify for any of these options, the you may want to buy insurance on your own. There are several options. You can buy from the insurance company, their websites will allow you to compare plans and apply for coverage. Online insurance sites will allow you compare plans from different insurance companies, you can see prices and apply online. Insurance brokers can helpful if you want to see someone in person and you want to contact an agent directly to discuss options, and help you choose the right plan. 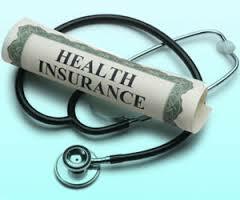 The benefit of health insurance will provide you with the peace of mind that you will covered in cased of illness or an accident, it is not required by law now. There are many options you want to ind the best insurance that works for you and your family. ← Can Technology ( Robots & Software ) Replace Doctors?